Rock-Fabrications Ltd - Bathrooms, Kitchens based in Hartlip, Kent. Rock fabrications are a well-established natural stone manufacturer, trading for the past 25 years In Kent - specialising in the precision crafting of the highest quality natural stones, such as Granite, Marble, Quartz and many others. We pride ourselves in being stockists of a wide range of natural stone and stone products, enabling us to supply and fit a wide variety of natural stone products – specialising in stone worktops, bespoke hearths, fireplaces, bathroom furnishings, stone fittings and other niche fixtures. To ensure the highest possible finish, fabrications are either completed by hand, by only the most experienced stone masons or with the superior, CNC machinery. Using these fabrication methods, we can cut from templates, then install worktops within a 5 working day period – for both commercial and residential clients. Enforcing the fact that Rock Fabrications are the most capable stone manufacturing company you will find. We are always looking to exceed our customers’ expectations and are always looking to improve our techniques and methods. We have a specialist workshop situated centrally next to the M2 motorway, between Chatham & Sittingbourne in Kent – but are proud to state that we are nationally recognised for our quality of work. Cutting-edge innovations in worktop designs. Technology, design, complex constructions, and simple operations. Kitchens are stated to be the heart of the home, so at Rock Fabrications, we believe that by adding a bespoke work surface in one of our quality stones, such as marble, natural stone. quartz, porcelain or granite, you will truly achieve that required look in your kitchen that will last for years. When we complete our free initial consultation with you, consideration will be taken as to factors such as- which type of sink you will be installing in your kitchen (either an under- mounted or and in-set sink), also, if you would like draining groves next to your sink? We focus on those minute finishing touches within our services – such as matching the kitchen window-sills to your worktops and your splashbacks. Anything is possible with an idea and a skilled pair of hands… We can take an idea, create a template and produce a beautiful bespoke masterpiece to finish any style of kitchen, usually within a 5 day turn around. Bathrooms are an ideal room for natural stone to be utilised within. At Rock Fabrications an example of the bathroom surfaces we commonly fabricate include vanity fixtures, bathroom floors, window-sills, cistern covers, bath surrounds and shower cladding. We have a wide range of Granite, Stone and Quartz all suitable for your bathroom furniture and fittings- we endeavour to generally complete your projects within a 5 working day turnaround. 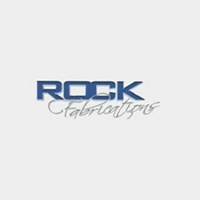 At Rock Fabrications we are proud to say that we can do what most can’t, we take an idea from you, create and cut the template, and install usually within a 5 working day period! All bespoke to your requirements, design and budget. We are committed to providing you with the best service possible, from initial consultation to final installation. Just call us to find out more about our services. Transform your living areas with a natural stone fireplace, these pieces are a timeless choice for a fire surround in any room. We use only high-quality natural stone, and bespoke template your design to suit your specific requirements. This then creates an interesting and different fireplace, which is unique and really gives your home the wow factor you require. At Rock Fabrications we can create any template you wish, to suit the size and the design of the room. For example, maybe for a large, classical room; a big, outstanding fireplace, possibly with columns either side. Alternatively, smaller rooms may suit a more modest fire surround that does not feel overpowering but still catches the eye. You want furniture that is beautiful and functional. A bespoke piece of furniture can transform a whole room. We are able to create beautiful, one-off pieces exclusively for you. Whether that be a dining table, desk, bookcase, side table or sideboard. Working in granite, marble, quartz and natural stone as well as other materials. We cover Kent, London, Essex, West and East Sussex, Surrey and Middlesex.